The Williams Sound MIC 100 Headband Microphone features a unidirectional (cardioid) mic element, adjustable microphone boom, and low-profile rear-wear design. Its 1/8" mini connection makes it compatible for use with Williams Sound bodypack transmitters and is well suited for high-noise environments. 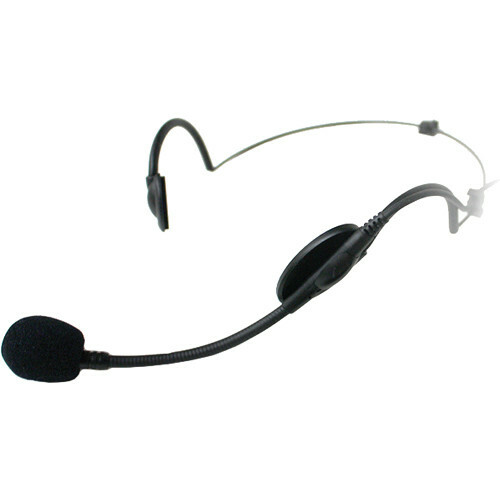 Box Dimensions (LxWxH) 8.2 x 6.45 x 2.45"
MIC 100 Unidirectional Headband Microphone is rated 4.0 out of 5 by 1. Rated 4 out of 5 by cms from Williams Sound Transmitter Mic Seems decent. What can I say about this simple item.